What can you expect at wellness in motion? 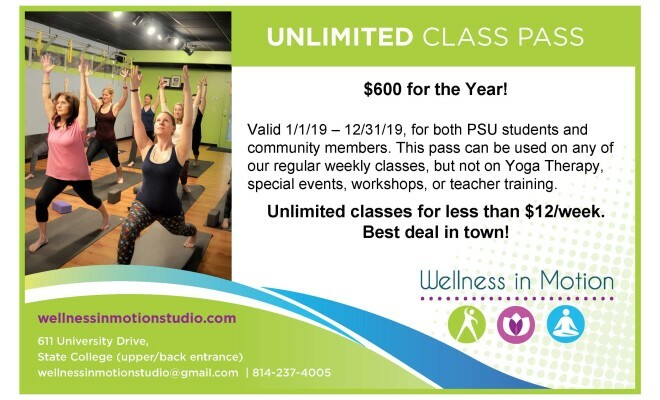 Wellness in Motion is an intimate yoga studio, located at 611 University Drive, State College, PA (use the back/upper parking lot and entrance). 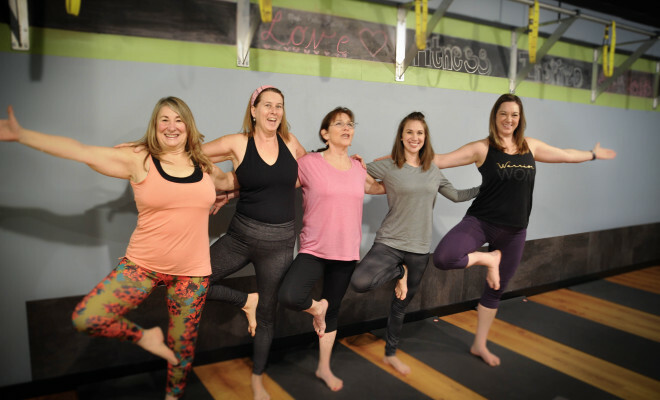 We offer smaller class sizes, a welcoming atmosphere, judgement-free zone, and a community feel. Our classes focus on yoga for wellness. Sure, yoga will help increase your strength, flexibility and balance, but we also provide an opportunity for you to connect with your mind, body and breath. Experience yoga, taught in an atmosphere of safety and acceptance. Learn how to turn inward and find your own pace and way of being. Reduce stress, free physical tension, and connect to your inner wisdom on a deeper level. 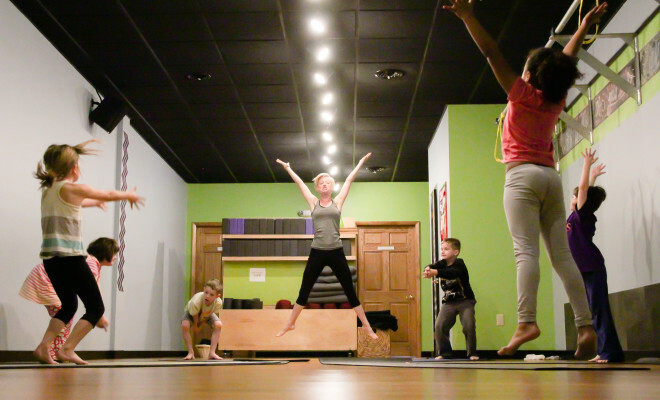 Wellness in Motion offers classes for every body - all ability levels and all ages. Our younger yogis will find their class offerings under the youth yoga tab (top right). Information on our regular, weekly adult yoga classes can be found under the classes and events tab. 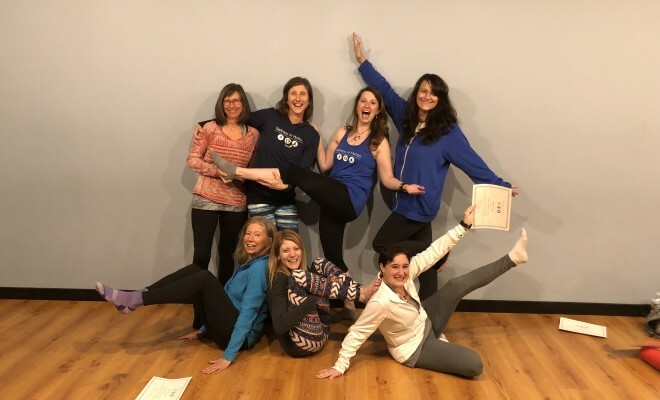 We know that some people enjoy moving slowly and others enjoy moving more quickly, so our classes range from Gentle Yoga to Power Flow Yoga with a little of everything in between. We look forward to meeting you at the studio! Sign up for our e-newsletter and receive your first class free!